When Gordon Robinson formed D&D Engineering over 30 years ago to design, develop and manufacture bespoke conveyor systems for the food processing industry, he had no ambition to machine parts in-house. His reliance on local subcontract manufacturing companies to provide the components needed worked perfectly well in the company’s formative years. This was to change when he was joined in the business by his son, and current managing director, Mark Robinson. With Mark on-board, plans were developed to grow the business and, within seven years, D&D Engineering found itself too large for its original premises. As a result, the decision was taken to buy land and create a purpose-built factory. “It was a risk when we mortgaged to buy our current premises, but with the business growing it was a calculated one which paid off quickly – the 25-year loan was repaid in 12 years,” says Mark Robinson. 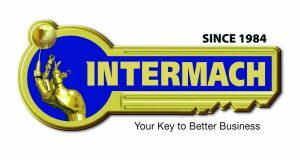 The growth of the company had come not only from increased sales of conveyor systems, but from the decision to begin bringing machining in-house for its own production before being developed into a full subcontracting resource. And with Hull’s economy expected to benefit from its year as the City of Culture, and new manufacturing businesses setting up in the area, this growth looks set to continue. D&D Engineering’s first machine tool investment was to bring in some turning capacity in the form of XYZ SLX ProTurn lathes with ProtoTrak control. With this initial investment satisfying the turning requirement at the time, attention turned to milling and, the positive experience of the ProtoTrak control meant that choosing SMX bed mills was an easy decision. “ProtoTrak is such a wonderful control for producing contours, pockets, holes and a host of other features on the parts for our conveyor systems, with programming being very straightforward,” says Robinson. With experience of ProtoTrak turning and milling, and the business still growing – both for its own products and increasingly for customers from the wind power, oil and gas, petrochemical and food industries – D&D looked to develop its machining capability further. This next step saw two XYZ MiniMill 560 vertical machining centres installed with fourth-axis attachments. The new capacity brought in larger batch sizes from customers, while the versatility of the Siemens control system, which Robinson describes as “perfect for our business”, made programming at the machine easy. 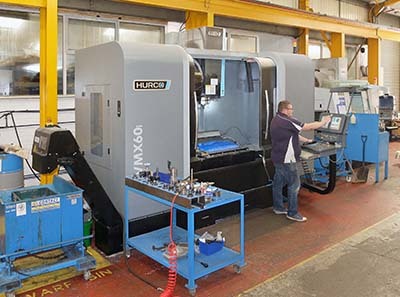 Additional business generated by having the MiniMills meant that D&D Engineering could invest further, with XYZ 1020 vertical machining centres joining the capacity list, closely followed by turning centre capability in the form of an XYZ Compact Turn 52 and an XYZ 250 TC. Furthermore, larger diameter turning was catered for with the arrival of an XYZ XL 1100 lathe with 2 m between centres and 1100 mm swing. With these machines in place, new opportunities arose for D&D Engineering, prompting the company to expand its support for the food and drinks industry, with one customer from this sector providing in the region of £20,000 of subcontract business every month. Due to the elevated level of work, machine reliability was vital for Robinson, and here he cannot fault the XYZ machines and the service support that he gets, if needed. Although both the ProtoTrak and Siemens control make programming at the control a relatively simple procedure thanks to their conversational languages, D&D Engineering has also invested in offline programming through XYZ Machine Tools and, once again, this is opening up new opportunities, especially in the injection moulding sector. With this mould tool work came a further need for investment, this time in larger capacity vertical machining centre capability. The issue was addressed with the arrival of an XYZ 2010 HD VMC. 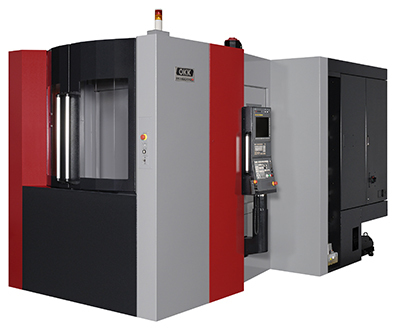 Part of XYZ’s heavy-duty range of machines, the 2010 has 2000 mm of X-axis travel (1000 and 800 mm in Y and Z). Developed for large components, such as mould tools, the machine features hardened box slideways, with six slides alone on the Y axis. At D&D Engineering, the company utilises the 30-position toolchanger to maximise run-time, with the machine running unmanned overnight on long cycle time work, then switching to shorter runs during the day. Developed especially to meet higher performance needs involving heavy-duty cutting applications on hard metal, cast iron and super alloy workpieces, is the OKK MCH5000R horizontal machining centre from 2D CNC Machinery. 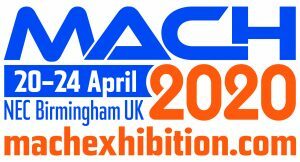 The machine has a maximum workpiece capacity within a cylinder of 850 mm diameter by 1000 mm high, with axis travels of 800 mm in the X axis, 700 mm in Y and 880 mm in Z.
OKK’s MCH5000R houses a 22 kW, 50-taper spindle with three-step gear drive and 1250 Nm of torque to enable high-power metal removal. Capable of speeds from 20 to 6,000 rpm, the spindle is supported by a high-rigidity column with Z-axis guideway. With a main body weighing in at 20 tonne, the machine comprises a heavy construction that combines with the column to reduce any deformation caused by varying loads on the table. Both the X and Z axes feature a hybrid face to the guideway with ‘aerostatic’ bearing pads that reduce load weight and friction resistance. Meanwhile, the Y axis combines a twin drive to the spindle head, eliminating any need for a counterbalance and enhancing axis response. Rapid traverse rates are 30 m/min. The X, Y and Z axes are positioned via temperature controlled core-chilled ballscrews with double anchoring to suppress the onset of elongation. As a result, fine-feed routines and circular machining accuracy is maximised, says 2D CNC. A conventional worm-gear drive to the table of the MCH5000R is replaced by a highly rigid speed-reduction unit having minimal backlash and high resistance to overload conditions. A five-axis CNC machine has been introduced by DMG Mori UK for the laser ablation of geometrically defined textures into the surface of mould tools. According to the company, the machining process is more environmentally friendly than conventional etching and offers greater freedom of design and a high level of repeatability. The new Lasertec 75 Shape is also capable of creating filigree cavities without the need to manufacture electrodes. A footprint of just 8 sq m is matched with an ergonomic design and a door opening of 1310 mm to ensure convenient access to the machining area. Workpieces of diameter up to 840 mm and height to 520 mm can be accommodated. Parts can weigh up to 600 kg, or 1000 kg with the optional tandem drive of the tilting mechanism supporting the rotary table. Central to machine operation are a 100 W pulsed fibre laser and 3D processing optics with F-theta scanning lens. 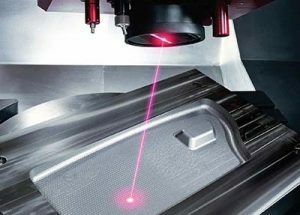 The laser is responsible for layer-by-layer removal of material and, in combination with the NC swivelling rotary table, offers contour-parallel laser shaping for fast, trouble-free laser texturing, even in the 3D freeform areas of a mould, says DMG Mori. Rapid traverse speeds of 40 m/min help facilitate fast cycle times, while ballscrews in the linear axes and cooling measures promote a high degree of accuracy. Travels are 750 x 650 x 560 mm in the X, Y and Z axes. Control is by a Siemens 840D SolutionLine, which can combine with DMG Mori’s application-specific LaserSoft software and proprietary CELOS graphical user interface. 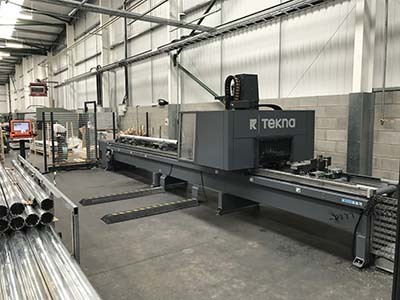 Emmegi (UK) has become a machinery partner to Wolverhampton-based Sherwood Aluminium, with the supply of a four-axis CNC machining centre from Tekna. Sherwood wanted a flexible machine with a larger capacity than its existing Emmegi Comet T6HP machining centre, and needed it to be compatible with a Renishaw probe. After a comprehensive audit of Sherwood’s needs both in the immediate and longer term, Emmegi recommended the Tekna 944, which can accommodate the Renishaw probe, and has a number of other significant benefits. The 944 is a four-axis machining centre with a mobile gantry and an 8 kW high-torque, electro spindle suitable for the heavy-duty machining of large sections of aluminium and steel. This electro spindle moves along the A axis, allowing machining through a full 180° around the section. The machine can travel up to 7000 mm in the X axis and meets Sherwood’s specific requirement of a wide workable section, with travel in the Y axis extending to a maximum of 1,070 mm. A clamp unit ensures the correct positioning of the sections, even at this extended width. PAB Coventry, which produces sheet metal components, pressings and fabrications in quantities from prototypes up to 10,000 per year, has since early 2016 invested £1.5m in new machine tools, which now include a Hurco vertical machining centre. The company also bought a second and third industrial unit in Canley, increasing floor area by two-thirds. Underpinning this expansion is strong growth in sales to the automotive sector, which accounts for 90% of turnover. TS16949-accredited PAB specialises in fabricating sub-frame pressings, bracketry and grilles, as well as assemblies such as windscreen surrounds for Aston Martin, Lotus and Triumph Motorcycles. The company, which operates 24/7 with close to 100 employees, is also moving strongly into the rail industry and has recently used its AS9100 quality accreditation, gained through earlier military work, to win contracts in the aerospace sector. As a result of this growth, Mark Brazier, second-generation director at the family-owned pressings subcontractor, decided to bring some of the manufacture in-house. The three-axis Hurco VMX60Ti now produces 35% of the subcontractor’s tools, while additional duties include the manufacture of inspection fixtures and composite try-out tools, milling and drilling of large parts such as door sills, and the production of smaller components such as bosses and machine pins if the other machining centre is occupied.